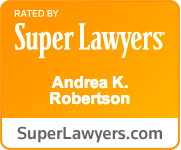 We routinely provide clients this article, written by Attorney Andy Robertson in approximately 2002. The principles still hold true today. It describes what to expect in a DOL hearing, by addressing frequently asked questions about the process. ● What are my chances? Hearings convened under Revised Code of Washington 46.20.308 result in a state-wide average of approximately 19-22% in favor of the driver. This varies over the years. Our firm's average is distinctly higher than that the state-wide number, but this should not be taken as a promise of a favorable result. Unfortunately, the odds are definitely not in the driver's favor. We will find any possible angle to use in defending against license suspensions and revocations, but the odds are that your suspension will be upheld. This does not make this process a waste of time or money, however, as it can still benefit you even in the event of a loss. ● What is the format of the Department of Licensing hearings? As you might guess, it's a bit unfair…the person assigned to your case is actually an employee of the Department of Licensing. They are not exactly “impartial” in the process. You are known as the “petitioner” in this action. (Remember: this process is wholly separate from the criminal matter. A win in this process does not create a win in the criminal process, and vice-versa.) All hearings are taped and almost all hearings are conducted by telephone. In very limited circumstances, we can request an "in-person" hearing. ● What issues can be raised in these hearings? 1) Whether you were under arrest. This includes challenges to the officer's reason for stopping your car or approaching you to investigate a potential charge or offense. 2) Whether the officer had reasonable grounds to suspect that you were driving under the influence of alcohol. This includes challenges to the officer's general investigation. 3) Whether you were read your “Implied Consent" Warnings before the test. This is a document which explains the consequences of refusing the test versus submitting to the test, and should be presented to you for your signature prior to the breath test. 4) Whether you actually refused the test, or whether you submitted a (legally acceptable) breath test result of over .08 (over .02 for minors). This would include any dispute over whether you actually tried to submit a sample, and the officer recorded you as “refusing.” It also includes any arguments regarding the admissibility or sufficiency of the breath test result. These are the primary issues, but a number of "sub-issues" are within each of these areas. We have spent decades arguing these hearings and can find the issues that could result in a win for you. ● How are these challenges raised during the hearing? To challenge in these four areas, the driver (or attorney on their behalf) may offer testimony, or the testimony of witnesses (including the officer, if we decide to subpoena him or her to testify), or present documents or other evidence, for the Hearing Officer's consideration. Or, the challenges can be raised with a purely legal argument. In many cases, we submit a legal brief to support these arguments. ● Can I testify or tell my story during the hearing? If a driver testifies, they will be placed under oath as any other witness would. The driver could potentially be subject to a form of “cross-examination” by the Hearing Officer. For these reasons, we do not typically have our clients testify during the hearing, as the statements could later be used against us in a future criminal hearing (it's rare but it has happened). Sometimes, however, it is important to raise an issue through the driver's testimony. If this is the situation in your case, this testimony is limited and it is presented carefully. ● What happens after the hearing is over? The decision is typically issued in writing 2-4 weeks after the hearing is done. If the decision is in favor of the driver, the proposed action is dismissed. If the decision is not in favor of the driver, the sanction (license suspension or revocation) will be imposed. The notice of suspension/revocation will typically build in a "wait time" of approximately 8-14 days before the suspension or revocation takes effect. This provides you a short window to apply for a restricted license or file an appeal. ● What if we lose?? Can we appeal the decision? How does an appeal work? The Hearing Officer's decision can be appealed to Superior Court, in the County where your arrest took place. The Superior Court will then decide to uphold or reverse the Department of Licensing's proposed license action. There is no “re-presentation” of the evidence at an appeal, just the argument of any legal issues to challenge. Factual disputes are usually left to the discretion of the Hearing Officer, except in cases where they make a finding that is not supported by any evidence. An appeal to the Superior Court is a separate legal proceeding, and the process is fairly long. Three to eight months is a good estimate of how long it will take. It takes a long time because of the many steps involved in an appeal: a copy is made of the taped proceeding, this tape is turned into a paper transcript, we prepare a brief, the State of Washington prepares a response brief, and the matter is scheduled for argument in front of a Superior Court judge. During the time of your appeal, your license is not automatically given back to you. The Superior Court has the authority to “stay” (put on hold) your license suspension or revocation while you fight the appeal. a) There is a “likelihood of prevailing” on the appeal (i.e. it is not a “frivolous” or moot issue, it has a change of success). This is established by a brief that we file, and is supported by a short oral argument. The request for a “stay” is a hearing which would be set as soon as possible, and usually within 2 weeks of the suspension start. This “stay” motion usually costs extra, because it requires a rapid turnaround, and would require us to prepare an initial brief right away. It also requires at least one additional court appearance. We will discuss with you the chances of prevailing in a stay, and you can decide whether it is worth the extra retainer. Some clients do not pursue a stay, or lose a stay argument; and decide to still continue with the overall appeal. Even if the suspension is short, and it finishes before the appeal is decided, a win would mean that the administrative action against your license would be reversed on your driving record, and your insurance requirements would likely improve if we were to win the appeal. So it becomes worth it to sometimes consider an appeal even if you would still suffer the suspension or revocation anyway. You may also be able to apply for a restricted license during the time that your appeal is pending. Please see our current efforts to preserve the right of a client to apply for this restricted license during an appeal. For more discussion about a DOL proceeding, please contact us to schedule a free consultation to discuss the unique aspects of your case.